Little pink flowers! 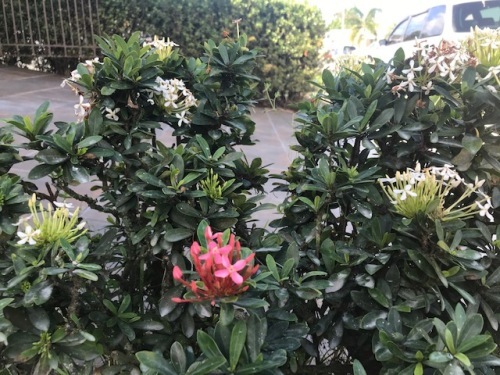 from a bush that is supposed to bloom only white. Well, they get me every time! The white flowers stay! What a nice surprise it must of been to see pink. I likes!! Thank you. I’m stuck. The neighbors may think it’s not stylish or whatever, but these little pink flowers want to live!!! Lucky you God is showing you who is the real planner and boss. Enjoy I think its pretty! A real freak rg ? Is that lovely bush a Rhody? I love the different colored blooms.